Zhongyi Optics (ZY Optics) has released version three of the Mitakon Speedmaster 50mm f/0.95 lens for full frame Sony E, Nikon Z and Canon RF cameras. Offering a natural 50mm perspective along with an ultra-fast f/0.95 maximum aperture, the Mitakon 50mm f/0.95 is a compact prime characterised by its bright f/0.95 aperture to suit working in low-light conditions. It also affords a great degree of control over depth-of-field for isolating subjects from the background and producing selective focus effects. The new version features a new optics design which offers a slightly more compact size and a better flare resistance. Plus, a carefully-designed 10 elements in 7 groups optics system with 1pc of HRI (High Refractive Index) & 5pcs of UD (Ultra-low Dispersion) elements successfully minimises the chromatic aberrations and delivers exceptional image quality. An eleven-blade diaphragm helps to produce a softly diffused out-of-focus rendering (bokeh) and the enclosure of the lens is made of metal to strengthen its durability. 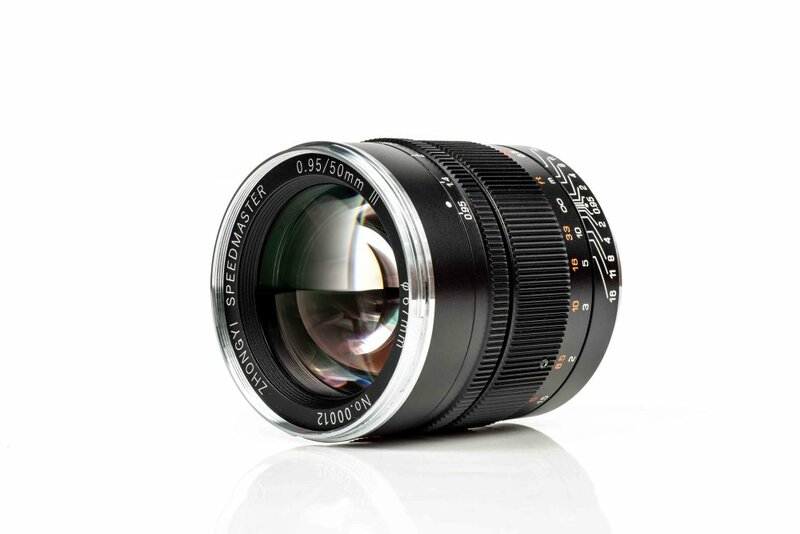 The Mitakon Speedmaster 50mm f/0.95 III is now available to ship and purchase from the ZY Optics official website. The Recommended Retail price (before tax) is $799.